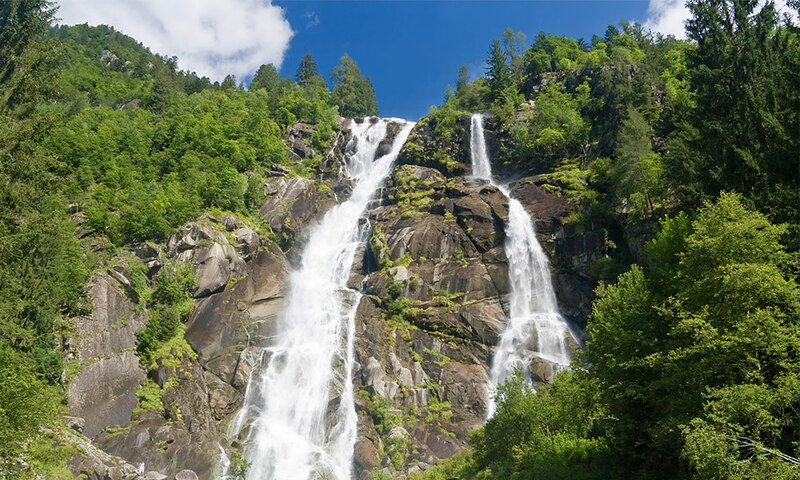 Pinzolo is located in the heart of the Adamello Brenta Nature Park and surrounded by the largest ski area of Trentino. You’re sure to find intense emotions here, whatever the season. Here are the figures relating to the largest ski area in Trentino, which is just 800 metres from the hotel. Buy your skipass from us, with discount packages or discount vouchers. The closest trail, the ring of Carisolo, is just 5 minutes from the hotel. 5 kilometres of the tracks are also lit up in the evening, in addition to the 22 kilometres of slopes at Campo Carlo Magno. 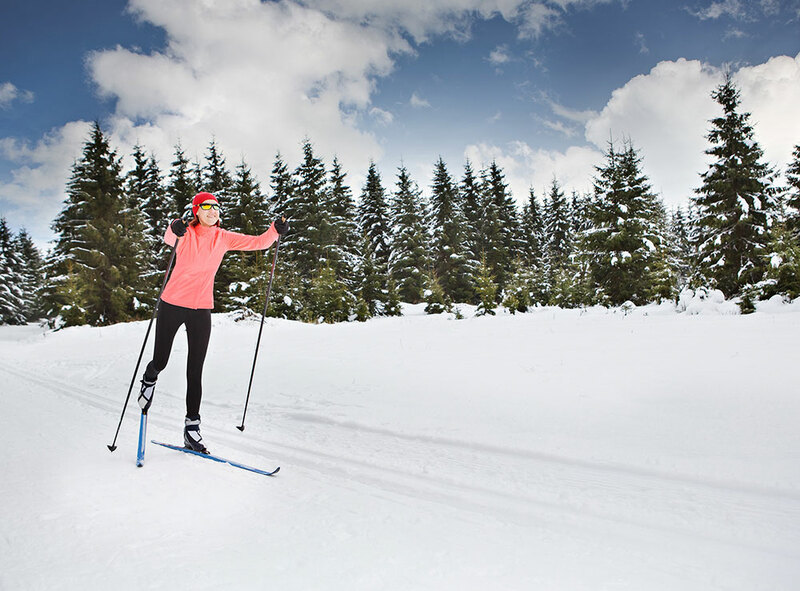 Snowshoes are ideal for mountain hiking in winter. Immerse yourself in the woods surrounded by the Dolomites, walk along ever-changing trails in the most hidden side valleys or on unknown paths, and experience unforgettable impressions. Everyone can go trekking in the Dolomites and walking in the mountain, whether they may be families with children, young people or couples. 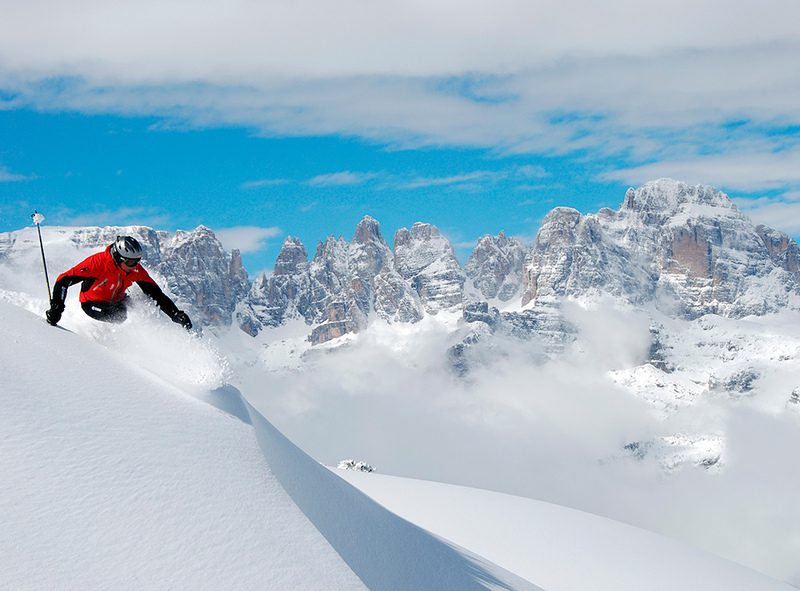 This is thanks to the services offered by Madonna di Campiglio Pinzolo and Val Rendena, including alpine huts and restaurants, ski lifts, an alternative mobility system that allows you to avoid using your car, and the Alpine guides, who offer all the safety you would expect of professionals. 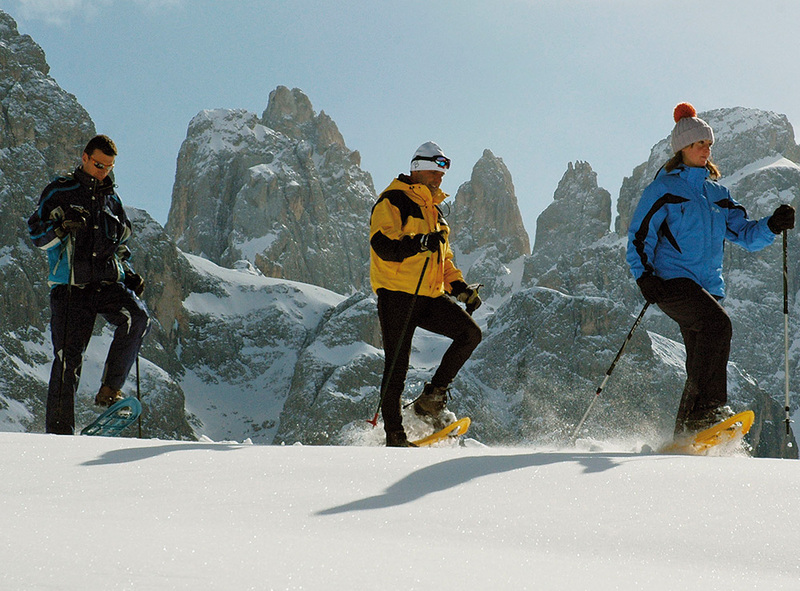 The more experienced can pass through the Brenta Dolomites on the trails that lead to the most famous Alpine refuges, at the foot of majestic peaks and spikes. You can be started from the bottom of the valley or directly at the top thanks to the lifts that allow you to cover significant distances in the blink of an eye. Val Brenta and Valagola are the perfect destinations for those looking for more intimate places. 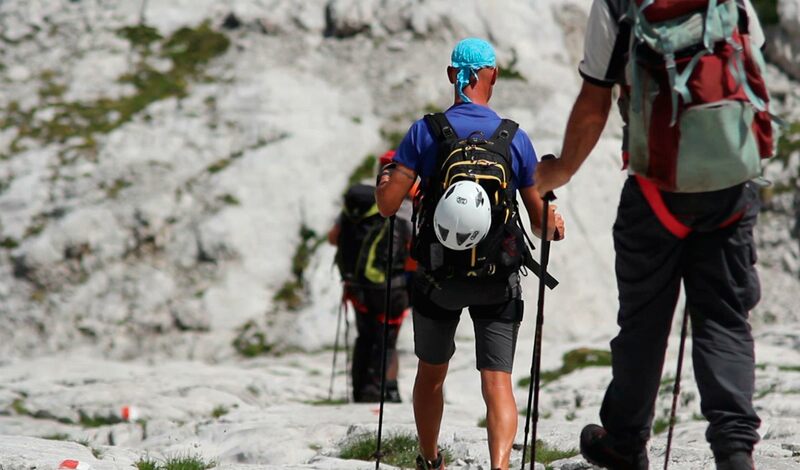 The new Brenta Trek Dolomites trail, a double ring circuit around the Brenta Dolomites designed for trekking enthusiasts, has been recently inaugurated and is waiting to be explored. The site is easily reached with the ski lifts at the top of Doss del Sabion at Pinzolo at a height of 2,101 m.
The panorama is breathtaking at this height, and across all 360 degrees the view spans the silvery peaks of the Brenta Dolomites, the white expanses of the perennial snow of Adamello and Presanella and the wonderful Val Rendena. 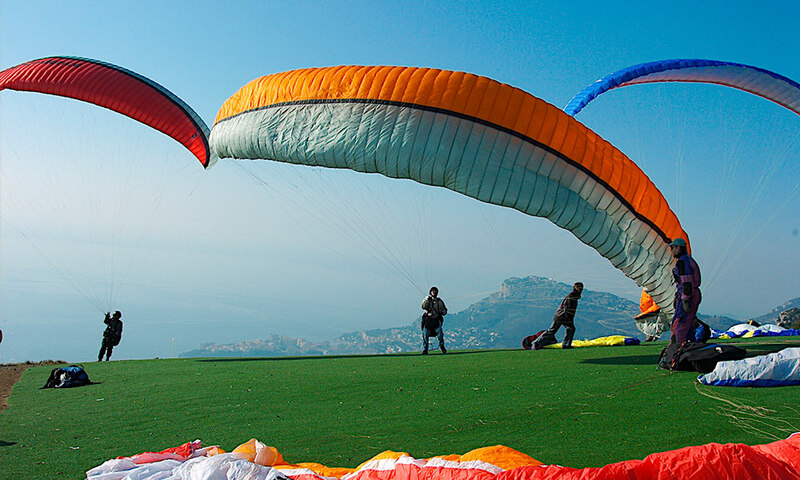 This unbeatable sensory overload will accompany you all the way all the way down until you land at an altitude of 800 metres. A downhill piste starting from Doss del Sabion and immersed in the scenery of the wonderful Brenta Dolomites, which were declared a World Heritage Site in 2009. For cycling enthusiasts, there is a 25-kilometre bike trail connecting Carisolo to Villa Rendena, then Tione di Trento and Ponte Pià, after Ragoli. Flat stretches alternate with short climbs, offering a varied route suitable for experienced bikers who want to test their skills in record times, and also for families looking for a more relaxed, pleasant outdoor pedal. a signed route spanning 27 km.